Asian stocks slid on Wednesday, dragged down by Wall Street’s tumble as sharp declines in long-term U.S. Treasury yields and resurgent trade concerns stoked investor worries about global economic growth. MSCI’s broadest index of Asia-Pacific shares outside Japan <.MIAPJ0000PUS> fell 1.35 percent. Hong Kong’s Hang Seng <.HSI> retreated 1.55 percent and the Shanghai Composite Index <.SSEC> dipped 0.2 percent. 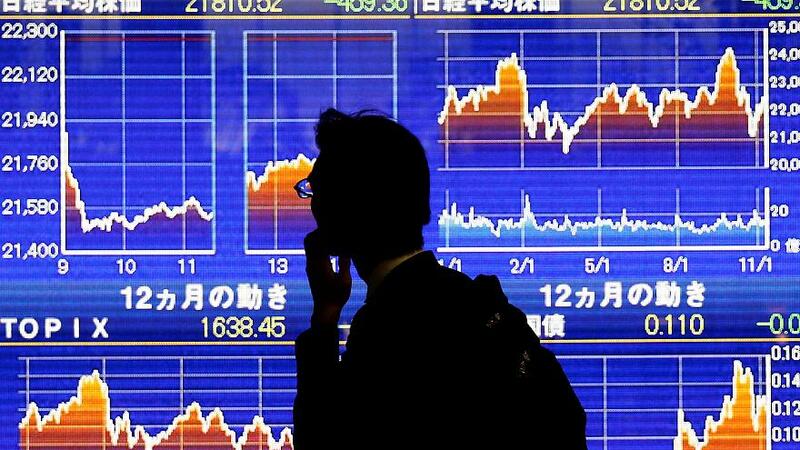 Japan’s Nikkei <.N225> dropped 0.8 percent and South Korea’s KOSPI <.KS11> shed 0.5 percent. Australian stocks <.AXJO> lost 1 percent, pressured by global losses. The mood further soured after data showed Australia’s third-quarter growth fell short of expectations. The Australian dollar was down 0.5 percent at $0.7304. Following Wall Street’s overnight tumble, S&P e-mini futures nudged up 0.4 percent in Asian trade on Wednesday. The dollar struggled in the wake of falling Treasury yields, with its index against a basket of six major currencies <.DXY> briefly stooping to a near two-week low of 96.379 overnight before edging back above 97.00. The greenback fell against the safe-haven yen, losing 0.75 percent overnight before trimming some of the losses to stand at 112.95 yen . The pound was down 0.3 percent at $1.2703 having touched a 17-month low of $1.2659 overnight, rattled by Brexit setbacks in parliament. U.S. crude futures were down 1.7 percent at $52.35 per barrel and Brent shed 1.75 percent to $61.00 per barrel.